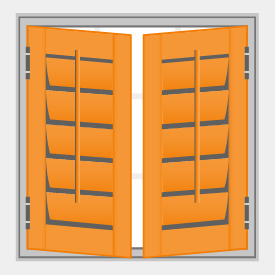 Choose the color of your hinges to match or accent your shutter color. 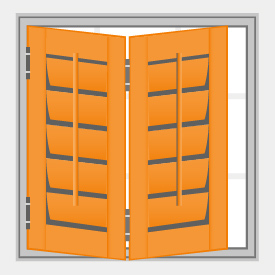 Hinges are charged per panel. Depending on your configuration, this price may increase. The size of the louver will determine the amount of light that shines through. 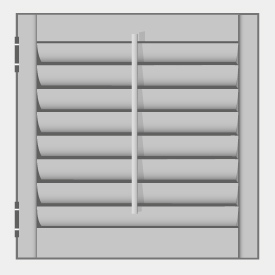 The 3 1/2” louver is the traditional choice. 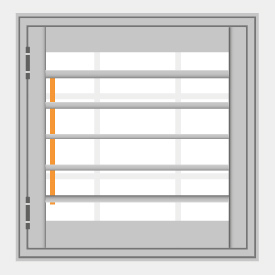 The 2 1/2” louver is commonly used for shallower window frames while the 4 1/2” is used for deeper window frames and when more visibility to the outside is desired. 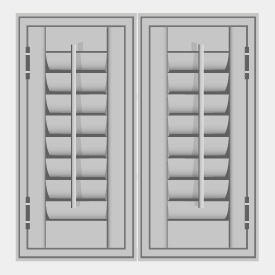 Front tilt is the traditional tilt type for shutters. A hidden rear tilt will move the bar to the back and side. This will provide a clean, streamlined look. 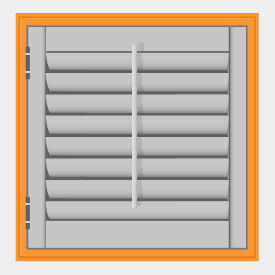 To tilt the shutters, simply move one louver and the rest will follow. Number of Frame Sides ? 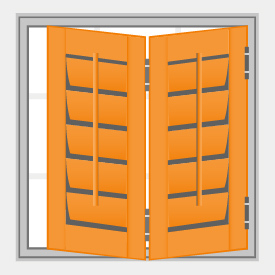 4 Sided Frame is for traditional windows and can be inside or outside mounted. 4 Sided Sill Frame is for windows with a bottom sill that protrudes or extends out from the wall. This is made with a flat sill frame at the bottom and can be inside or outside mounted. No Frame is for a direct inside mount with shutter panels and hinges only. 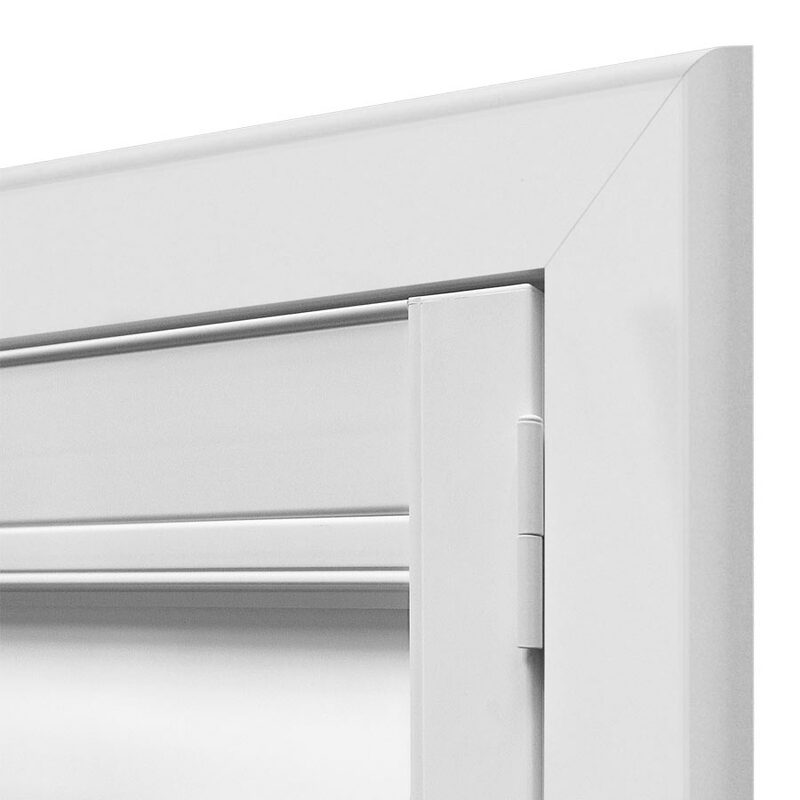 If choosing No Frame Sides, Mounting Strips are recommended for ease of installation and to ensure smooth functionality with proper panel weight distribution. 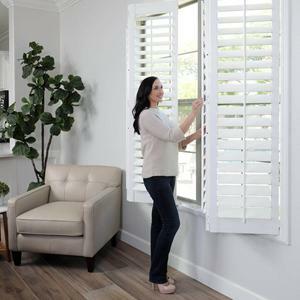 For inside mounted shutters with No Frame, mounting strips are recommended for ease of installation and to help distribute the weight of shutter panels. 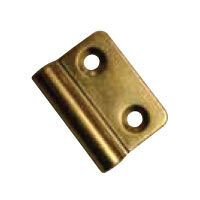 The strips are used in conjunction with adjustable hinges attached to the inside of the panel. 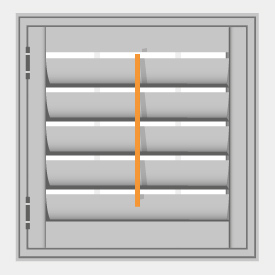 Mounting strips help block extra light from side gaps and are not visible when shutter panels are closed. 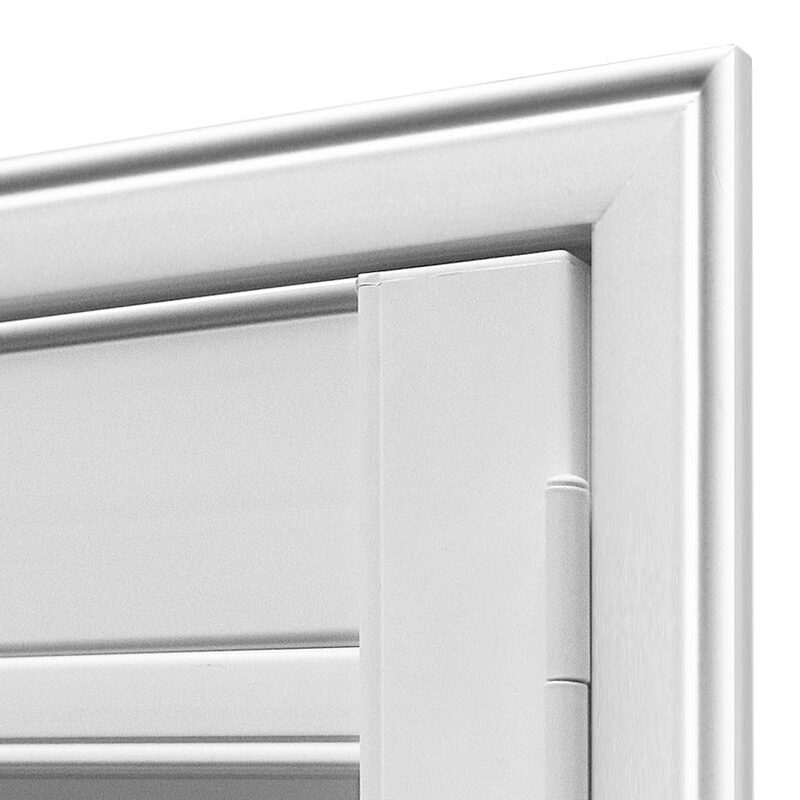 L-Frame is recommended for windows with existing trim and flush application when inside mounted. 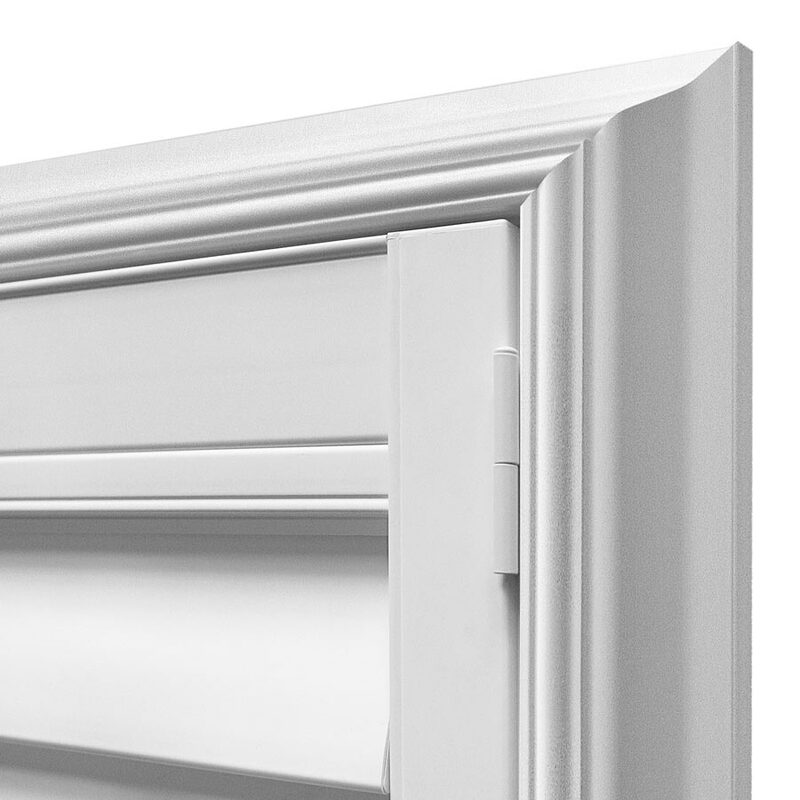 A T-Frame or Bullnose frame is recommended on windows with no existing trim or out of square windows to eliminate light gaps. 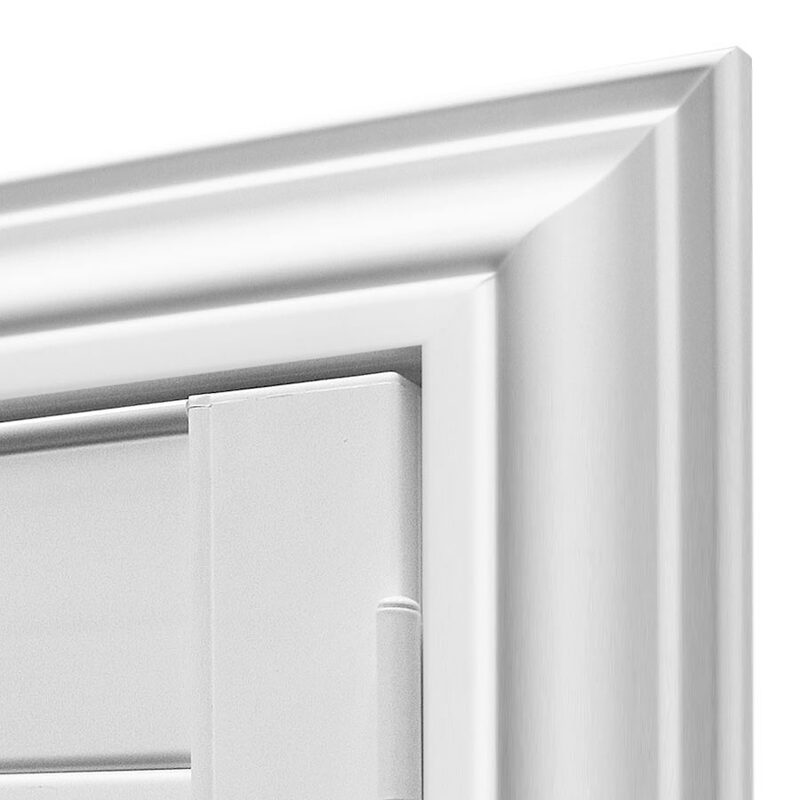 A Casing Frame is outside mounted and will add a decorative trim to your windows. No frame is if you would like a panel and no framing. A Dividing Rail is placed within the panels and adds stability for tall windows. 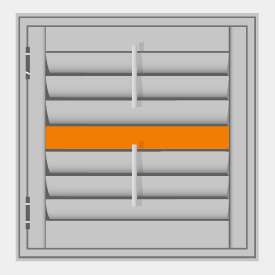 This feature also allows for more privacy and light control by dividing the louvers into top and bottom sections that operate independently. Divider Rails are available as an option for panels 30" or taller. They are required for panels 66" or taller. 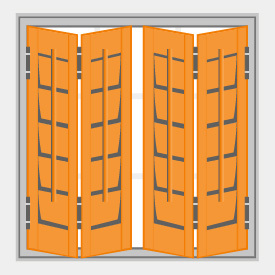 Choose the location from the bottom of the shutter to the center of the desired dividing rail location. Please note, this will be as close to your request as possible. To avoid excessive louver overlap, a minimum of 18" is required between divider rail and the top/bottom rail of shutter. 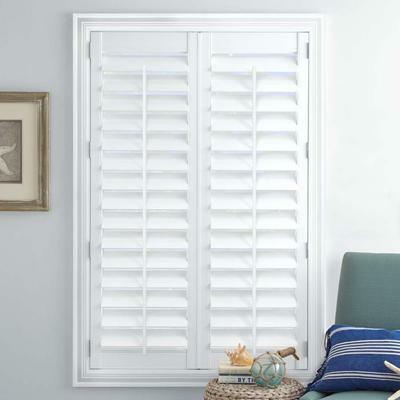 Scratch proof, moisture proof, and the combined durability of Polyresin with the look and feel of a traditional wood shutter make the Classic Faux Wood Shutter one of the most popular styles of plantation shutters. 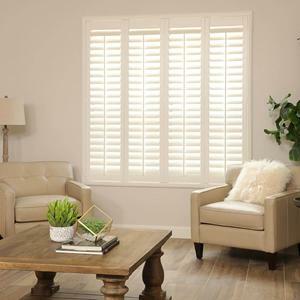 Available in multiple panel configurations makes them perfect for any window in any room. The panels on this treatment can open and be folded against the wall for a neat, clean look. Single panels are the most popular and maximize the light and view through a window. Bi-fold panels are more traditional and can swing open when there is furniture that limits the space in front of a window. 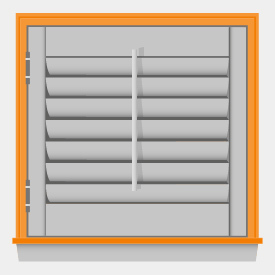 With simple to follow instructions, this window covering is easy to assemble and install. And as always, shipping is free. They're also proudly custom-made just for you right here in the USA. Made from Polyresin 3® finish. A colorfast compound with UV stabilizers designed for strength and durability to resist dents and scratches, yet retains a special warmth and feel. 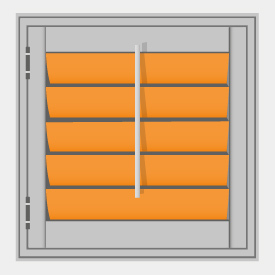 The shutter louver special construction virtually eliminates solar heat gain during the summer months and provides excellent insulation during the winter months. L-Frame shutters made 1/8" smaller than ordered width and height on an inside mount. 36" maximum width for single panel. 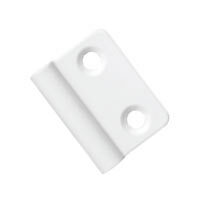 Pre-drilled installation holes are strategically placed on all frames for accurate, quick and clean installation. Some assembly is required. For panels over 66 inches in height, a dividing rail is required. 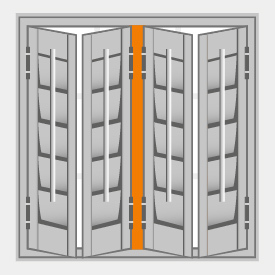 For bi-folding panels over 50 inches in height, a dividing rail is required. No Frame Sides shutters will arrive with panels and attached hinges only. Due to the weight of shutter, No Frame is not recommended for larger sizes to ensure a sturdy mount. There will be sizable light gaps when ordering L-Frame for inside mount applications on windows with no existing molding. We suggest upgrading to the T-Frame. 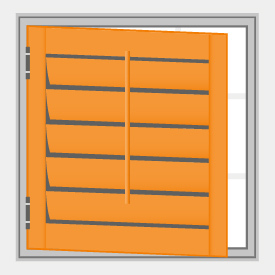 Outside mounted shutters will arrive at ordered width and height. Frame additions are necessary to properly clear window opening and allow for shutter installation. 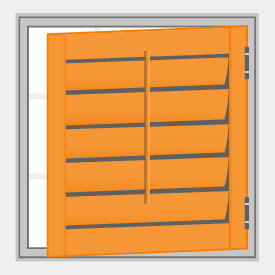 Add 4" to window opening measurements for L-Frame. Add 5 1/2" for Casing Frame. I had great service, although a few mistakes were made. Luckily, I wasn't in a huge hurry to get them on the windows - otherwise it may have been an issue. The problems were taken care of and your customer service team was accomodating. The shutters were wonderful. I am very allergic to dust and this was a great alternative to have my windows have a polished finished look without the having to install curtains (dust collector). They were delivered on time and installation was a brief with the exception of one window where the hinges were placed backwards from factory. It was an easy repair, but it did take us a bit longer with the installation. Overall great buy for quality and price!! the look of it was over the top,and it was easy to install too.